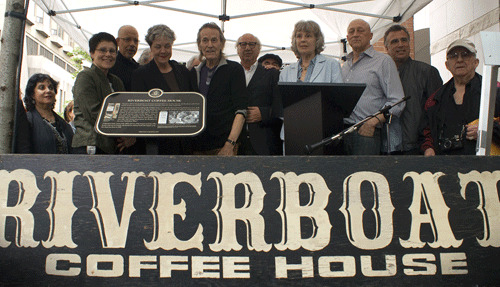 Feature Article: Riverboat Plaque Presentation - Gordon Lightfoot Book, Music and More! On June 18, Heritage Toronto was joined by some of Canada's most notable musicians to commemorate famed Yorkville coffeehouse, the Riverboat. Located in the narrow basement of a house at 134 Yorkville Ave, the Riverboat was opened in 1964 by Bernie Fiedler and became the best-known coffeehouse in Canada. Over its history, the Riverboat stage was graced by Canada's music elite, including Joni Mitchell, Neil Young and Gordon Lightfoot. The Riverboat remained open until 1977, by which time it was the sole remaining coffeehouse in the area. A number of musicians who graced The Riverboat's stage during its illustrious life attended the event, including Gordon Lightfoot, Dan Hill, Murray McLauchlan, David Wilcox and many others. 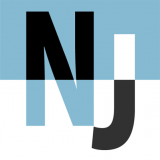 The plaque was a joint project between the Greater Yorkville Residents' Association with assistance from "Riverboat" Jane Harbury, music historian and author Nicholas Jennings and Bernie Fiedler, owner of the Riverboat. It will be permanently installed outside the Hazelton Hotel in Yorkville (where the Riverboat once stood) within the new few weeks. The Riverboat plaque has been generously supported by the Bloor-Yorkville BIA, The Rotary Club of Toronto - Forest Hill, Herta Scholz, the Greater Yorkville Residents' Association, Dr. Lancelot A. Brown, the ABC Residents' Association and Magentalane Music Limited. Many thanks to ONE Restaurant and Long & McQuade for supporting the plaque presentation.